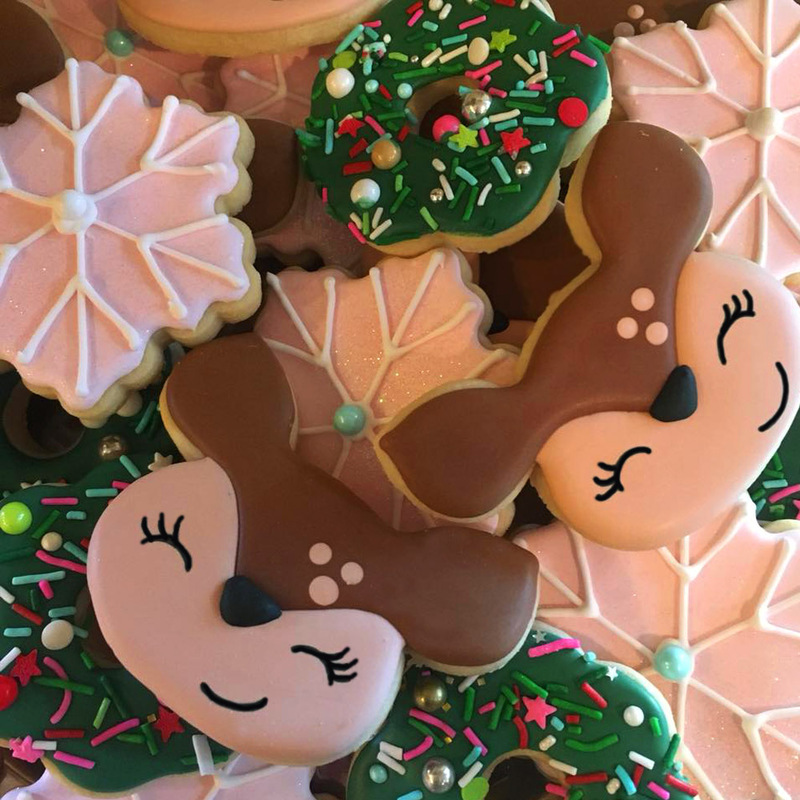 Whether you are looking for that perfect party favor or just something special to add to an amazing dessert table, our delicious custom Sugar Cookies certainly fit the bill! Not sure what style to pick? Our baking team will work with you to create a design that will perfectly compliment the theme of your soirée! Need your company logo on a cookie? Have a theme in mind? Let us know and we will create something that will blow your guest’s minds! Our gourmet Custom Sugar Cookies range in size between 3″-4″ (depending on the shape), come beautifully iced and can be wrapped individually in a high quality cellophane bag with a coordinating ribbon tie. Need a Personalized Tag to go with that cute cookie? We can create those for you as well for a small fee, no worries! *10-15 business days advance notice on all CUSTOM orders* Because of the uniqueness of each design, prices will vary. Please contact us at (303) 522-6886 for pricing and additional information!